The rocket contest is to hit a spot on the floor that is within 40-80 ft in range within 3 try's. Winners will receive 30 points of extra credit. The rocket cannot touch the ceiling. Rocket run attempts that do will be disqualified. The measurement will be from the target to the cone of the rocket after it stops. Build 1-3 rocket prototypes to test your design. Build a data table based on your lab test results. 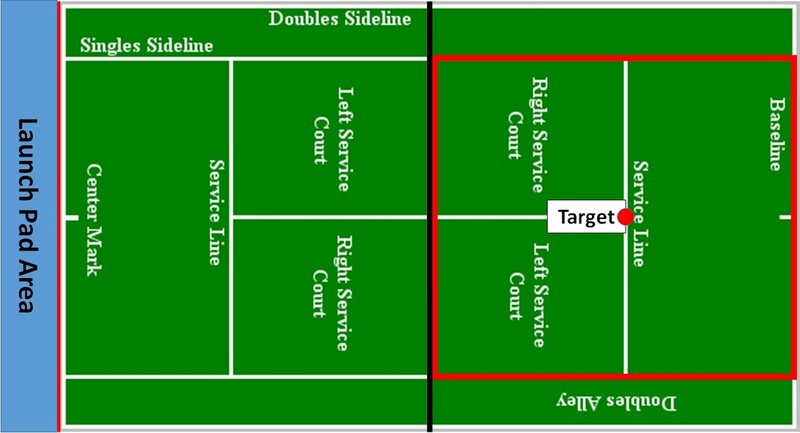 The objective with this version is to hit a target on the other side of the net while shooting from behind the tennis court. The contestant must shoot in the area behind the tennis court. The rocket must pass over the net and not pass the baseline on the other side. A qualifying shot is when the rocket lands anywhere in the indicated red square. Shots that land outside the red square indicator is disqualified. Build a data table based on your experiments. This STEM activity incorporates many aspects of mechanical engineering & science.